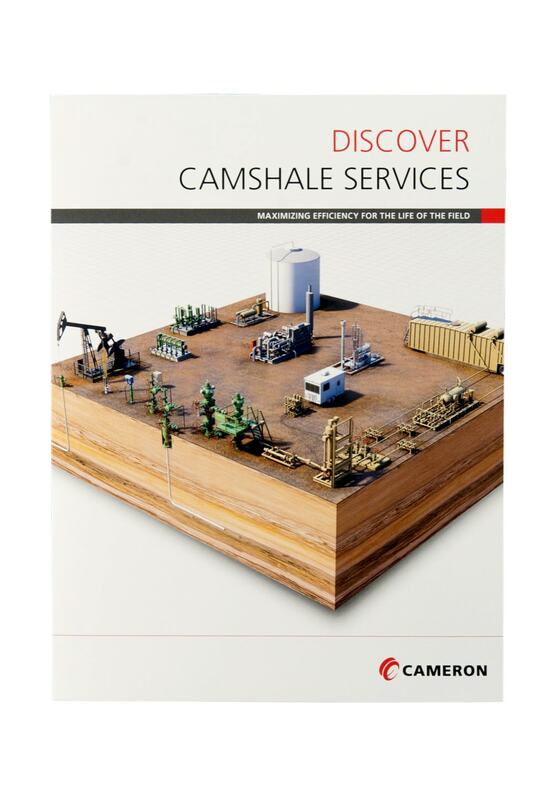 Cameron, a global company specializing in products and services for the oil and gas industry, needed a unique brochure to highlight its innovative equipment to its roster of business clients. As it works with other large global companies and has a product line consisting of complex machinery, Cameron wanted an innovative marketing piece that reflected the sophistication of its line. 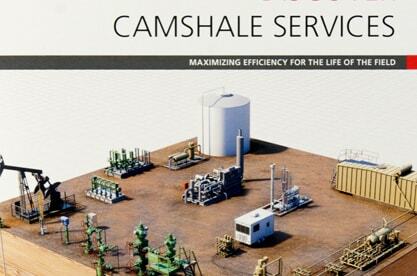 Cameron, and its agency Harte Energy, came to Americhip to utilize our patented Video in Print™ technology to produce a cutting-edge video brochure and business development tool. Trying to explain the complex activity related to the performance of its equipment is nearly impossible with a traditional brochure using only copy and photographs. With Americhip's VIP Technology, however, animated videos worked perfectly to demonstrate the actual performance, upkeep and relevant data related to the line. 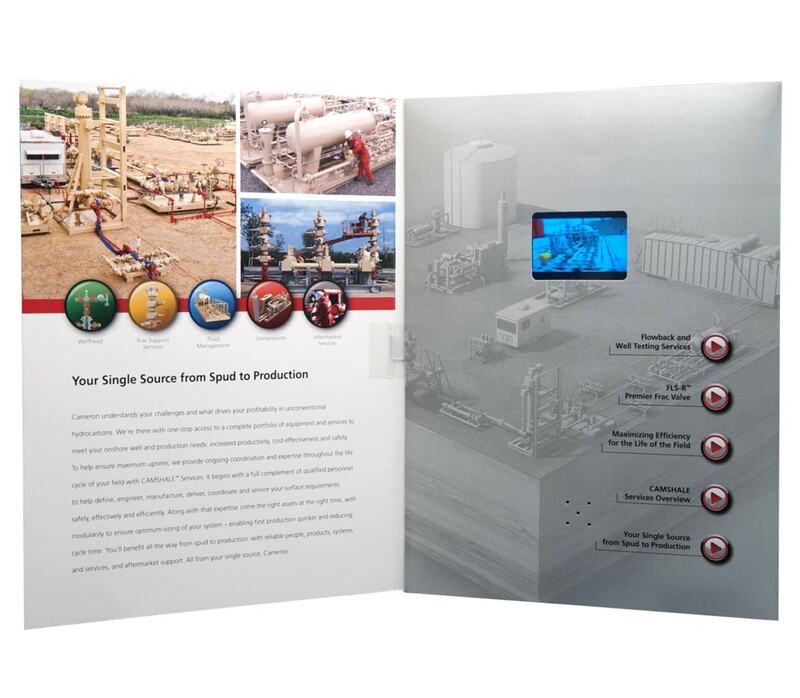 The detailed geological information and operational demonstrations that would have fallen flat in a standard mailer came to life in the video brochure.